Around the wider world of golf: Brittany Lincicome shocked the golf world by winning her second ANA Inspiration over Stacy Lewis in a playoff on the LPGA; and Josh Geary won the Buick Open on the PGA TOUR China. It was a bad week for putts catching lips. On the LPGA it was amazing how many putts just caught the edge of the cup -- even when they were crawling so slowly that they HAD to go in -- and then inexplicably curled around and wandered off, sometimes several feet away. The number of putts Stacy Lewis and Brittany Lincicome lipped out during their 3-hole playoff defied explanation. 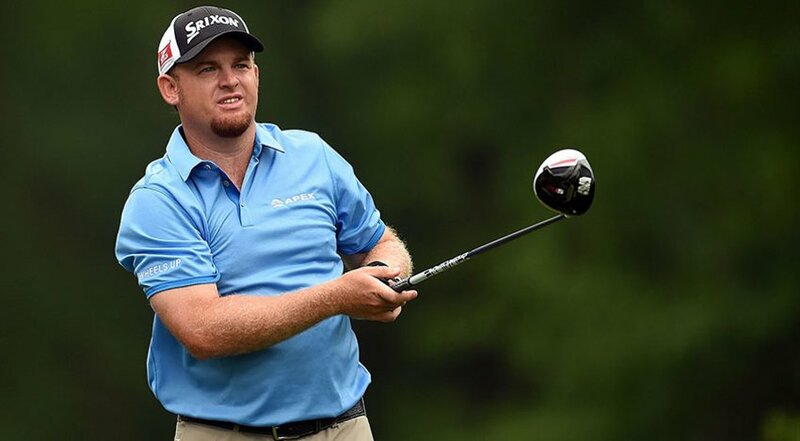 But it was just as wild on the PGA Tour... unless, that is, your name happened to be J.B. Holmes. Holmes must have been using one of those GPS-equipped balls from David Feherty's car commercials -- he was rolling them in from everywhere! He started with 5 straight birdies, then was 7-under after 8 holes and 9-under when he walked off the 12th green. Jordan Spieth had hit only a single shot when J.B. caught him! And even though J.B. cooled off after 12 -- he was 1-over on his final 6 holes -- the damage was done. Give Spieth and fellow competitor Johnson Wagner some credit for hanging in there and forcing a playoff. But shooting 64 in the final round is devastating to the competition, and even more so on Sunday since you don't have to worry about backing it up! Spieth went out with bogey on the first playoff hole and likewise for Wagner on the second. That final-round scores bring it home! The photo came from the tournament stat page at PGATOUR.com.